I made French toast for breakfast this morning. I haven’t had French toast in quite some time. I was wondering how French toast got to be called French toast and the result of my investigation is that it’s called French toast for the same reason that French fries got their name: no one knows. It may also be noted in this culinary themed entry that French fries is a term almost exclusively used in North America. In much of the world, our fries are referred to as “chips” with our “chips” being referred to as “crisps”. Interestingly enough, French fries are now back on the menu at the US House of Representatives, finally replacing the Freedom fries debacle that has soured things since 2003. 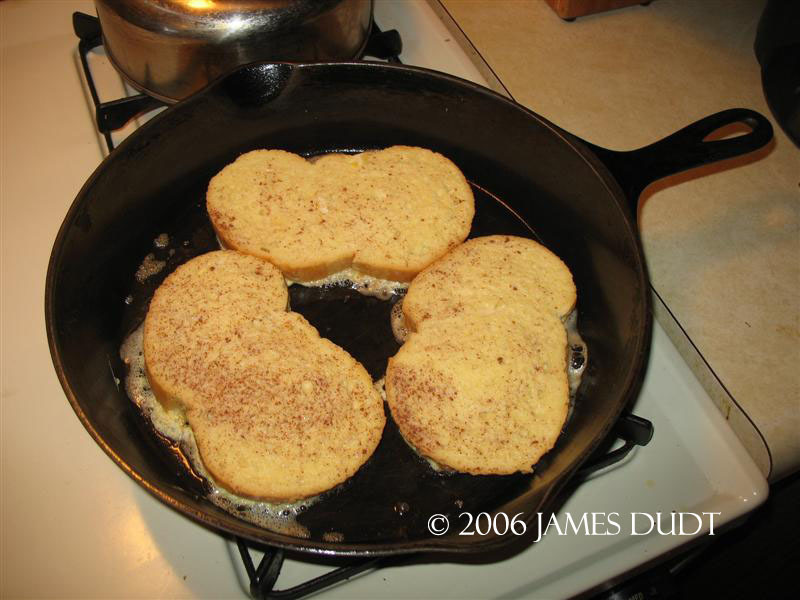 Anyhow, I made French toast for breakfast this morning. The other things I did today (brush hogging, lawn cutting, and room cleaning) weren’t nearly as interesting or inspiring.